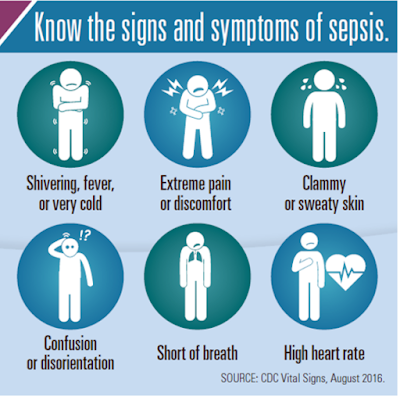 Sepsis is the body’s overwhelming and life-threatening response to an infection, which can lead to tissue damage, organ failure, and death. Sometimes called blood poisoning, it can be caused by a seemingly minor infection due to a scrape or cut. It is often the cause of death of people suffering from other diseases (see Sepsis and Other Diseases). For instance, people with cancer can die as the result of the actual tumor or from an associated condition such as sepsis. 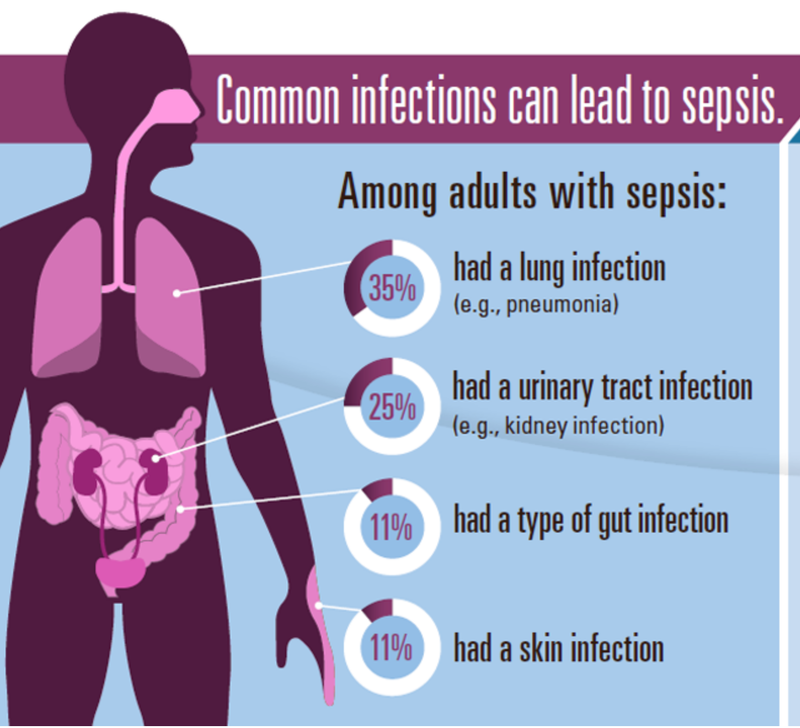 Anyone can get sepsis but children and older adults tend to be more vulnerable. Sepsis should be treated as a medical emergency (as quickly as possible) with antibiotics and fluids. 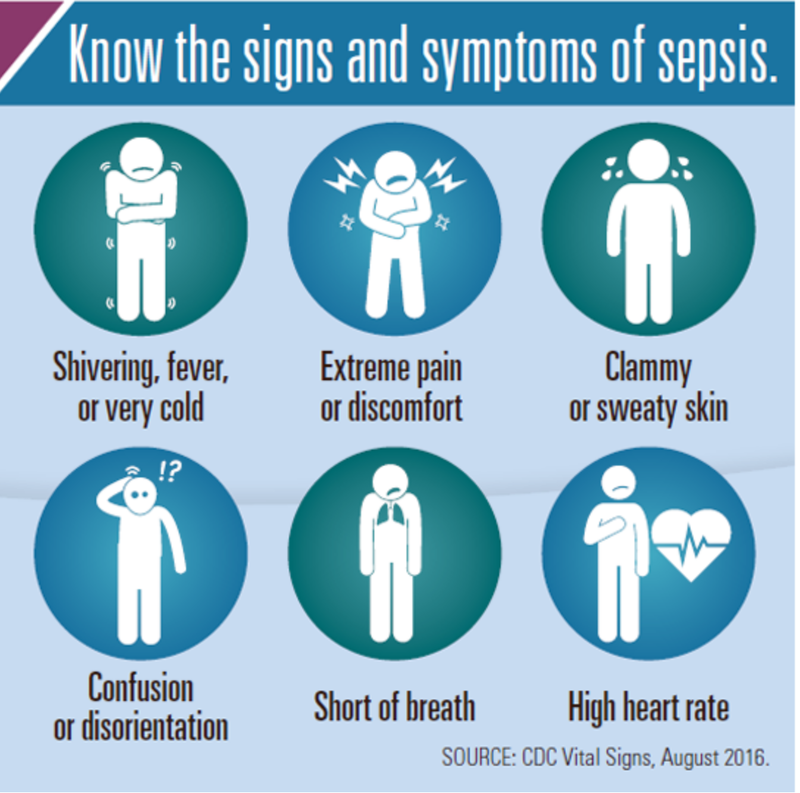 If you think you or a loved one has sepsis you should be clear and firm that you suspect sepsis and demand urgent attention. Call your doctor or go to the emergency room immediately if you have any signs or symptoms of an infection or sepsis. This is a medical emergency. If you are continuing to feel worse or not getting better in the days after surgery, ask your doctor about sepsis. Sepsis is a common complication of people hospitalized for other reasons. Sources and for more information on sepsis, see the CDC website and the Sepsis Alliance website. Failure to diagnose sepsis or an infection leading to sepsis can sometimes lead to a medical malpractice lawsuit. View our main website at LubinandMeyer.com - Lubin & Meyer PC. Attorneys licensed and practicing in Massachusetts, New Hampshire and Rhode Island.